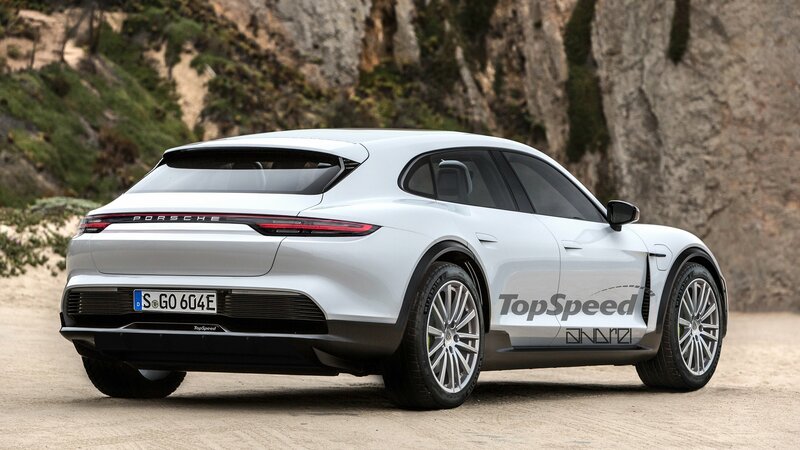 Porsche is set to launch a crossover-styled version of the Taycan. It will be based on the Mission E Cross Turismo, will be more off-road-worthy, and will be the third official model in the Taycan range. It won’t differ too much from the concept, featuring mainly detail changes, but the same overall body and design. 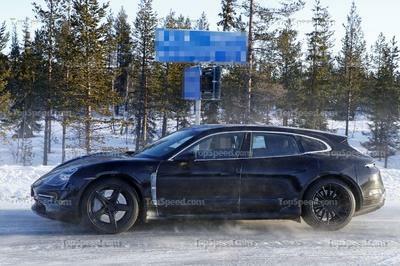 Some details, like the mirrors, the roof, and the rear light cluster will be different, as we’ve seen on Taycan sedan prototypes that are currently undergoing testing. The Taycan sedan will be revealed sometime in 2019 and hit the market in 2020, so the Taycan crossover should debut sometime after the turn of the decade. The Porsche Taycan is arguably the most technologically advanced model Porsche has ever built, but it’s not going to be priced that way. In fact, the Taycan looks like it’ll be more affordable than we thought. A Porsche executive revealed that the Taycan will like carry a starting price of €80,000 or around $92,500 based on current exchange rates. That said, top-spec versions of the Taycan aren’t going to come cheap, potentially reaching €200,000, or a little over $230,000. Porsche has outlined its plan to expand its lineup of electric vehicles with several new battery-powered models set to make their debut over the next decade. The information comes courtesy of Lutz Meschke, who is the company’s financial director and a member of its board of directors. 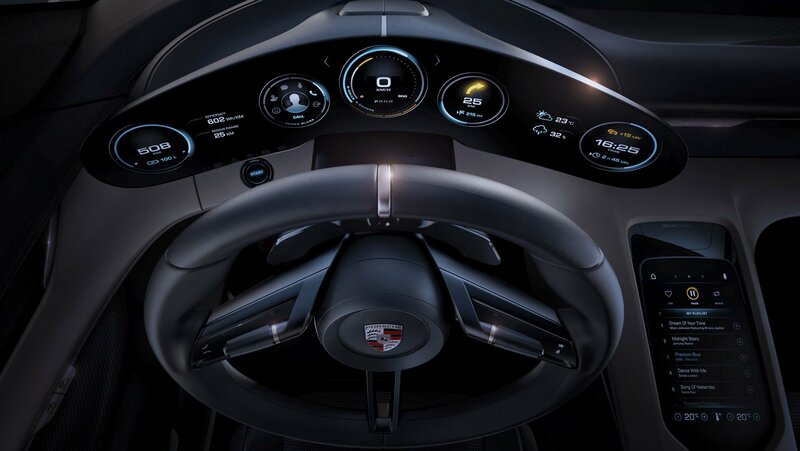 As the electric car market becomes bigger and more populated these days, Porsche is looking for a way to stand out from competition, and a big part of that approach is developing technologies that will allow it to claim the industry’s quickest charging times. 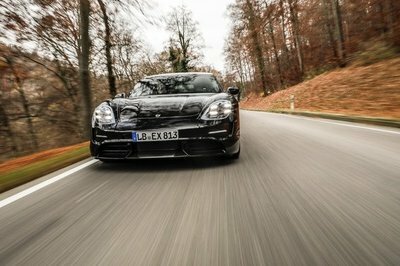 The Porsche Taycan electric sports car — it’s Porsche’s first all-electric model ever — is expected to showcase that with the ability to charge 80 percent of its battery in just 15 minutes. 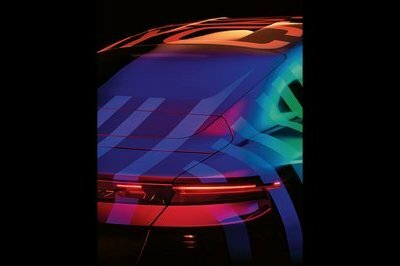 Hype is building for Porsche’s first all-electric performance car, as Stuttgart continues to tease us with fresh images posted to its social media accounts. Critically, one recent post included a tasty little morsel on the car’s specs, specifically the time needed to hit 60 mph. Back in June, we found out that the production version of the Mission E concept will be called the Taycan. 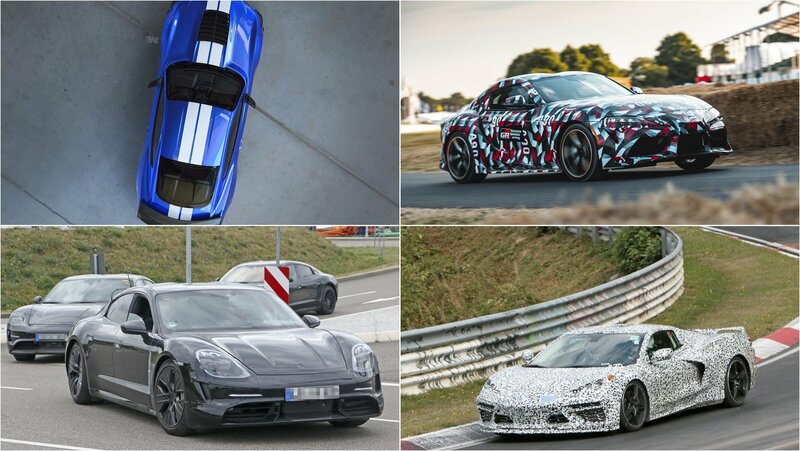 Now, with development well underway and several prototypes already built, Porsche unveiled some technical data too, including its output. 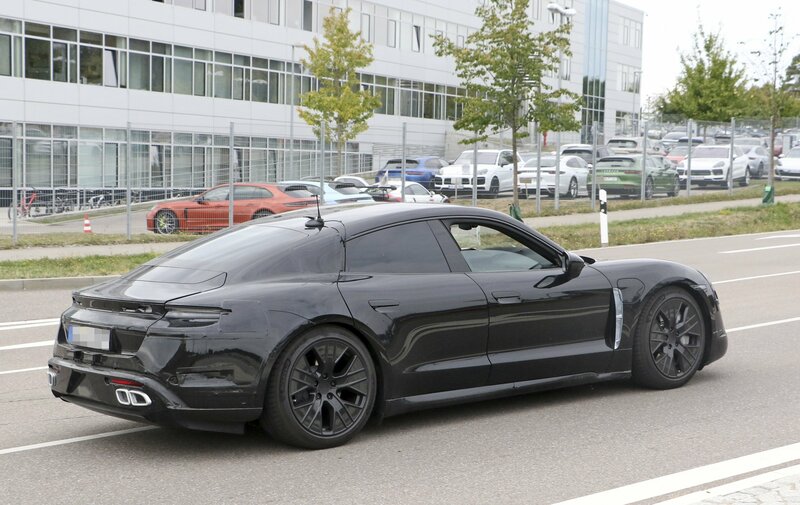 The demand for the Porsche Taycan is skyrocketing as interested customers start piling up ahead of the electric car’s production launch in 2019. 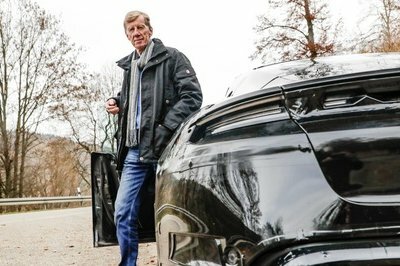 Porsche UK managing director, Alexander Pollich, confirmed the expected news to Autocar, though he did not disclose the exact amount of customer interest in the German automaker’s first-ever all-electric EV. 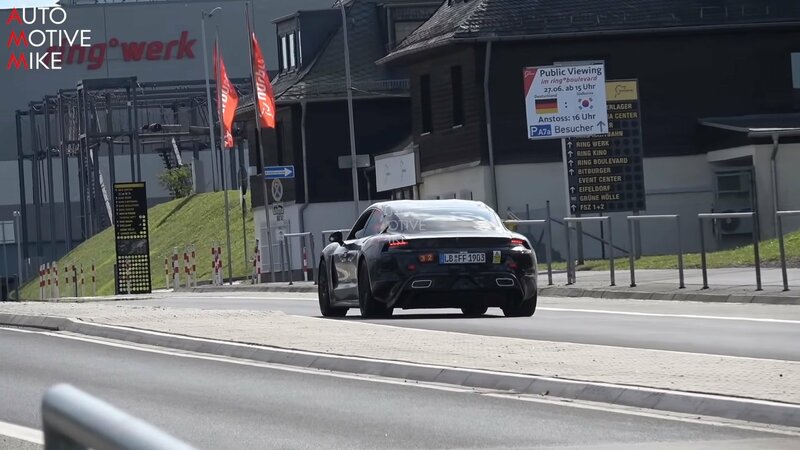 The Taycan is expected to arrive in dealerships sometime in 2020, kick-starting a new era for the Stuttgart-based automaker. 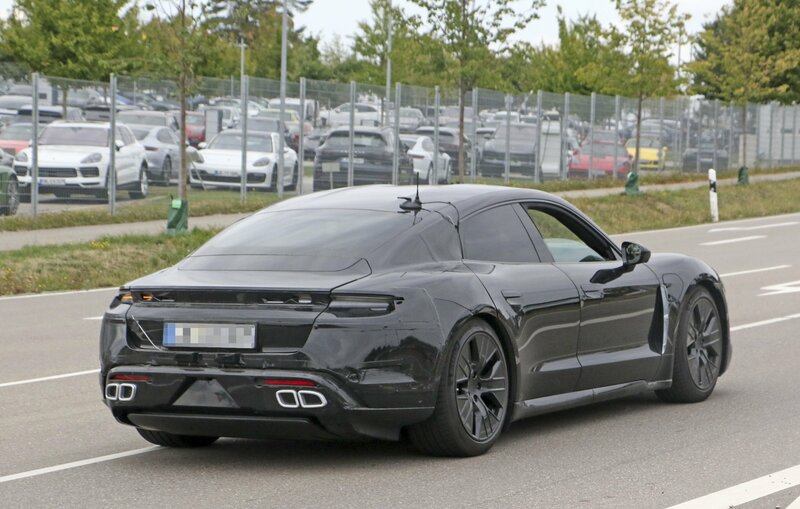 For the past couple of days, the Internet has been swamped with something called the Taycan. Not a common word and certainly a unique name, would not you say? Only a week ago, as part of the “70 years of Porsche Sports Cars” ceremony, Porsche revealed that their new car, thus far referred to using the Mission E corporate designation, will be called the Taycan. This will be the first all-electric Porsche and an evolved version of the Mission E Concept we learned about on the first public unveiling at the Frankfurt Motor Show three years ago. If you are wondering why Porsche would want an electric five door superhatch that is a tad smaller than the Panamera, look no further than the Tesla Model S. This project is a Porsche stab at the favourite electric car and now it officially has a new name. Any numbers in the name? No! Hidden messages? Yes! 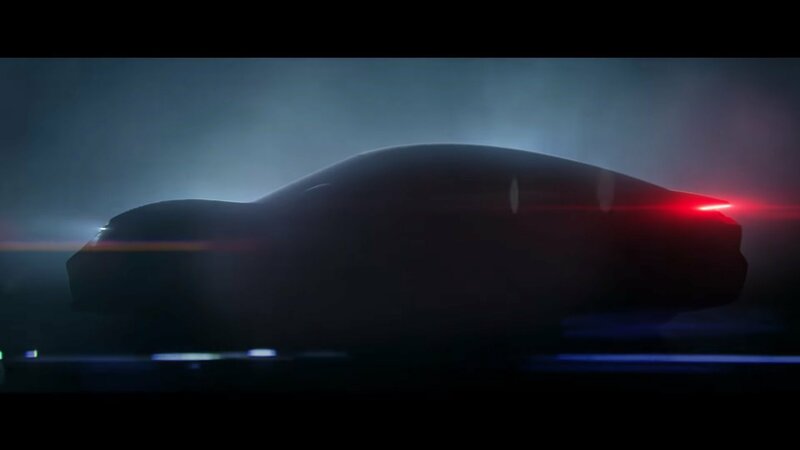 Porsche has released a video that explains just how to pronounce “Taycan,” and how that car will have the “soul” that other cars lack. 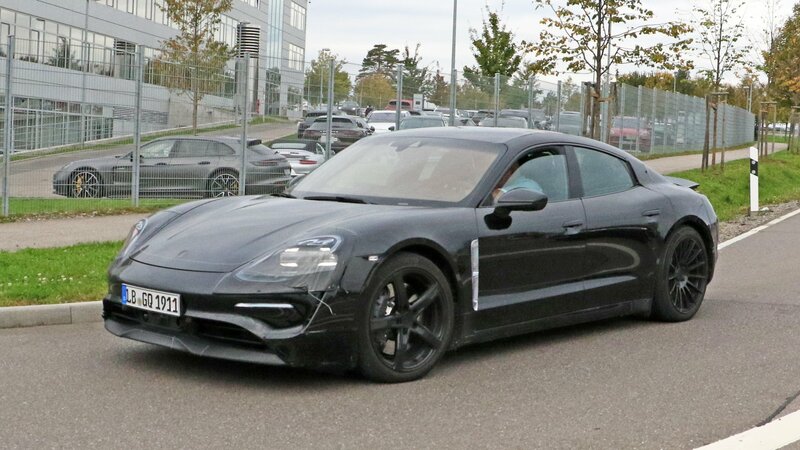 The Porsche Mission E all-electric sedan has been renamed the Porsche Taycan as the German automaker gears up for the model’s launch in 2019. The production name was announced by Porsche CEO Oliver Blume during Porsche’s 70th-anniversary celebration last week. 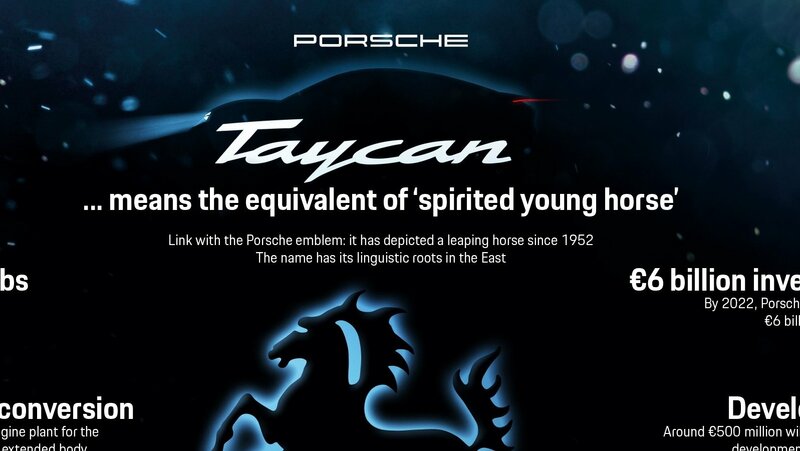 According to Blume, the name “Taycan” means “lively, young horse,” a reference to the black horse found on the city of Stuttgart’s coat of arms. 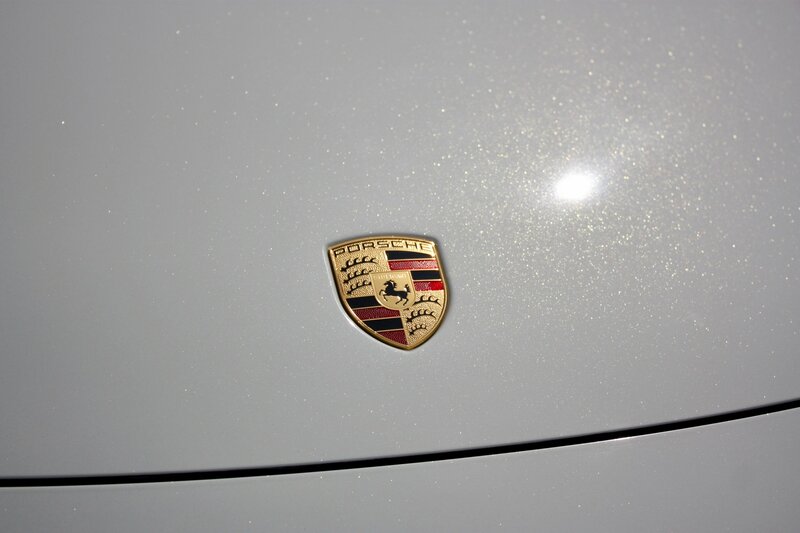 That same black horse also appears on Porsche’s own logo.